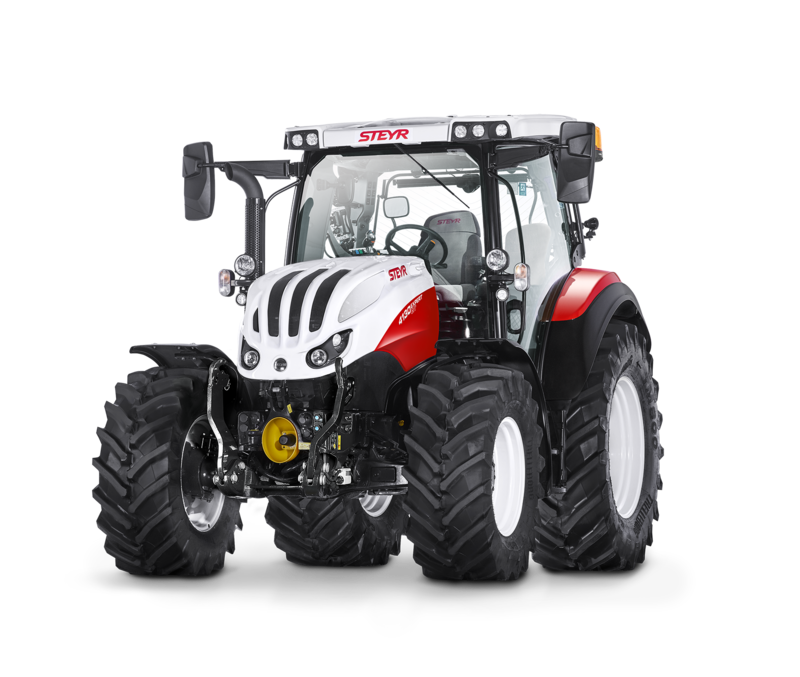 The new STEYR Expert CVT with its STEYR familiar look, targets customers who need a high performance tractor packed in compact size with superior comfort. S-ControlTM CVT transmission, Stage V engine with HI-eSCR2, a 110 l/min high performance CLSS hydraulic pump, front axle and cabin suspension as well as a spacious cab are some of the new tractor’s convincing features. This tractor is one of our responses to developing requirements of our customers, as the Expert CVT now makes CVT technology available in the 100hp segment. Only the best is good enough for experts. Low noise emission level of 72 dB(A) to take the stress out of working, and for using the telephone in hands-free mode. Powerful, efficient and environmentally friendly 4-Cylinder engines from 100 up to 130 hp. 40 km/h achieved at a fuel-efficient 1,730 rpm. 3 rear PTO speeds with Power mode, or with the fuel-efficient speed of the Eco mode. Ground speed PTO optional. Maximum lift capacity of up to 5,600 kg at the rear and 2,300 kg at the front. CCLS hydraulics with 110 l/min displacement. STEYR front loader attachement frame is available ex factory. Tyre and wheel combinations for every application. Expert CVT supports ISOBUS II and the latest ISOBUS III technology. 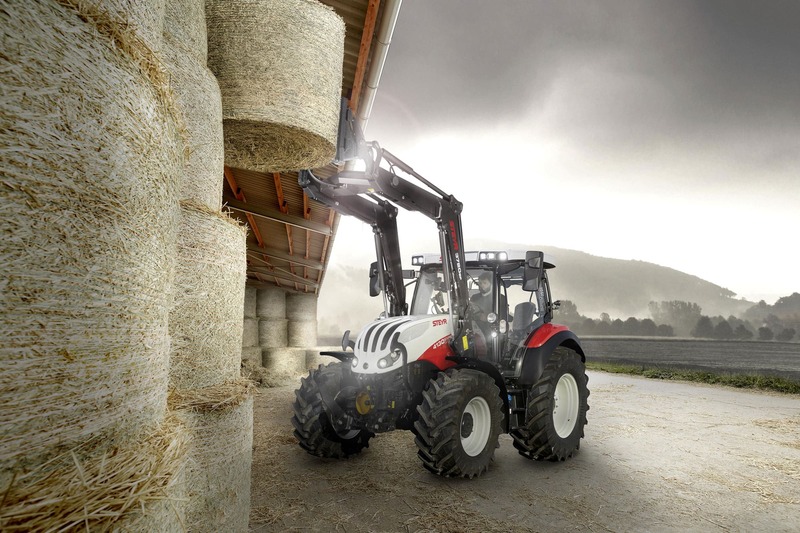 The name “Expert” for the new STEYR tractor range was deliberately chosen to highlight the perfect balance between compact design along with best in class comfort. 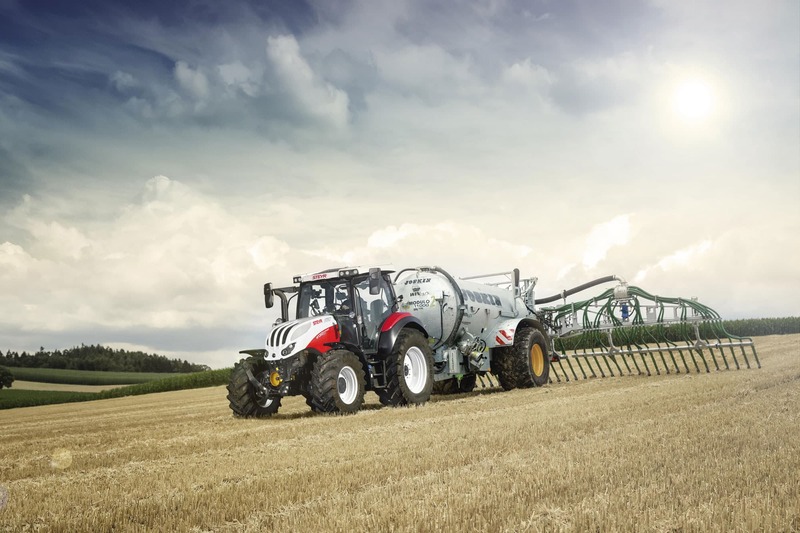 This new tractor offers experts’ features for increased versatility in grassland operations, arable farming, transport and cultivation as well as all kinds of municipal work. With its 4-pillar panorama cab with its large windows, its high-visibility roof window and a one-piece front windscreen, you have perfect and unrestricted allround visibility. The LED work light package assures superlative visibility even after night has fallen. Tried and tested FPT Industrial 4-cylinder NEF 4.5 litre engines work away under the bonnet of the STEYR Expert CVT. The engines with a rated power of 100 to 130 HP easily meet the requirements of the Stage V EU emissions standard thanks to a patented exhaust aftertreatment system which fits snugly under the bonnet. 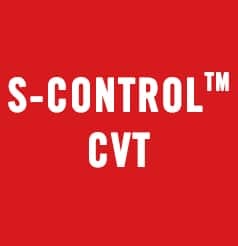 The continuously variable S-ControlTM CVT transmission sets the standard when it comes to comfort and efficiency. Thanks to S-Tronic the STEYR Expert CVT delivers speeds from 0 to 40 km/h in Eco Mode, with maximum torque and minimum fuel consumption. Active stationary control ensures that the machine to stop safely even on steep slopes. The front PTO with 1,000 rpm and the front hydraulics are fully integrated into the STEYR Expert CVT front axle support frame. 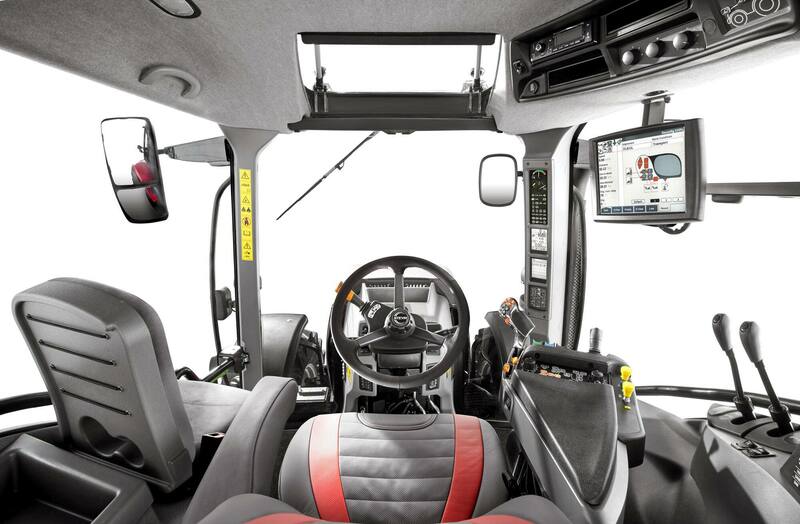 Both components can also be operated directly from the front of the tractor by additional controls. Front hitch lift management is optional. The sturdy rear hitch (Cat. II or III N) lifts up to 5,600 kg. Combined with the 110 l/min CCLS hydraulic pump, it makes it easy to use even heavy tillage equipment. Two mechanical remote valves at the rear are standard, but they can be extended by two mechanical or two electrical remotes. The new Expert CVT is ideally suited for front loader work. All connections for the implements have been fitted ex-factory. 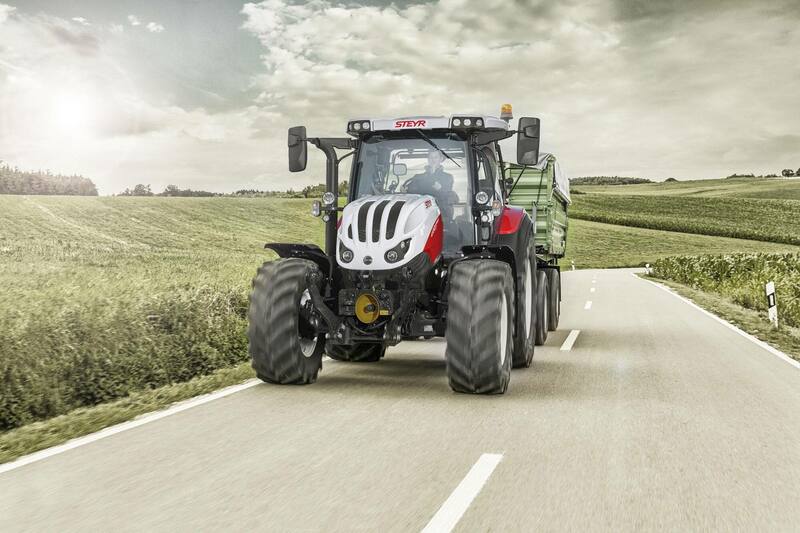 Each model can be fitted with the SF front loader, exclusively developed for STEYR. Control is child's play and is assured via the joystick integrated in the armrest.